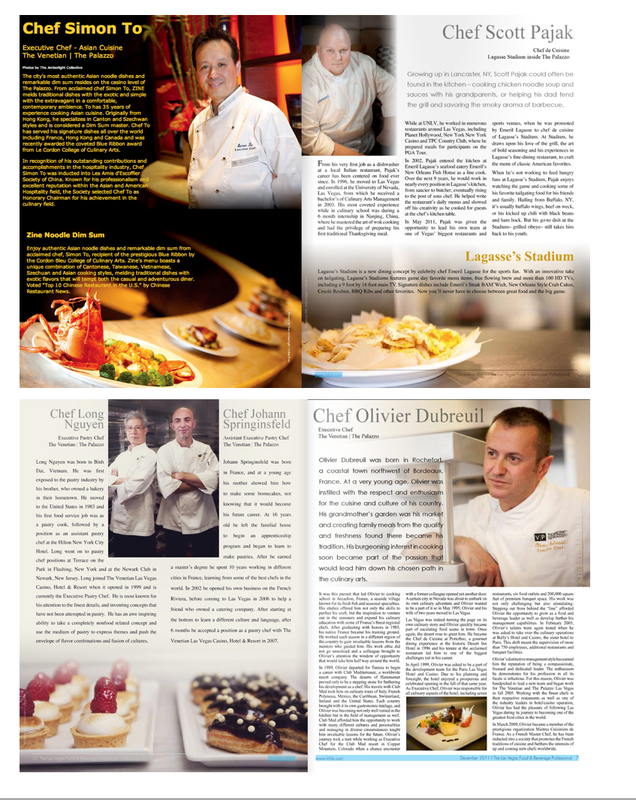 Featured in Las Vegas Food and Beverage mag! Recently i had the opportunity to follow the amazing Danette of Amberlight Collective to photograph some of the top chefs here in Las Vegas, actually world known, in the Ventian Hotel. i was so honored she asked me to come along (it's a good thing i got the hook ups being friends and all!) This was a great new adventure for us, she had been studying how to photograph food, while i was there to learn! I definitely learned a few things, and would love to be able to do this again! thanks for the creative director of the magazine! after photographing the food, we got to... taste it all! and more, the chef's were whipping up some of their favorite dishes, and it's absolutely the best food i've ever tasted! and i was a bit intimidated to meet these chef's but they were so down to earth, and willing to do whatever we needed to photograph. it was a wonderful experience, and i'm so thankful i got to shoot! so i might have stuffed myself with well mostly chinese and dessert, but OH MY GOODNESS. it was too yummy! so check out Las Vegas Food and Beverage Professional. the people that work this magazine work so hard and put their hearts into it all! so check it out! ro see full magazine click on the image below to go straight to December's issue! and why not.. the photos of us! ;) and one i took of another staff member. and by the way!- check out the ad for Amberlight Collective. i feel pretty good about it.. then again.. it's a photo of my husband and me! be ready for new photos on the blog! working on the galleries! so close! !